Hello! 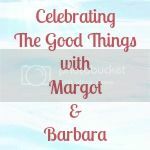 Welcome to The Good Things, my weekly post celebrating the things that bring happiness. Happiness means different things to everyone. Whether that’s climbing a mountain, baking a cake, spending time with family, travelling somewhere exciting, a gardening or environmental success, visiting a new restaurant, a great outfit post, or your experiences of learning something new, The Good Things is a linky for everyone. My Good Thing #1: Running in Temple Newsam. When I wrote my post on how to keep motivated to exercise, one of the points I raised was about finding those places and spaces that make you happy to spend time exercising. Temple Newsam House in east Leeds is one such place for me. This week, the weather was so amazing that I stopped to take a few photos. Plus, it was an excellent excuse to catch my breath! Temple Newsam has so many footpaths and bridle paths running through the estate that it’s easy to find running routes, either on tarmac or off it. I tend to run around the hillier sections at the back of the estate–there are a couple of ‘marker’ hills for me that I tend to use as measure of how fit I am feeling! It’s also got a ParkRun and is the location for several active events through the year such as a Race for Life. It’s such a beautiful place to run that it lifts my spirits even when I’m feeling like I really don’t want to exercise. Can’t say the same thing for a treadmill! What a beautiful spot to run in, beats staring at sweaty people in the gym any day of the week. That feeling of inner happiness when you find yourself in a moment where everything is just perfect is bliss. I love your photos – looks like a great place to run! Thanks for inspiring me to write a blog post about our custom made OS map. Love the idea for this Linky and I hope to join up before it closes. It would be very lovely to have you join in, thank you so much! This is such a lovely idea – I hope the internet fills with good things as a result.